Home » Blog Post » What is the Catbus? 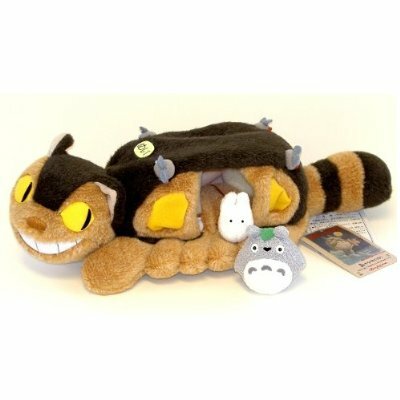 The Legend of Catbus, and Where YOU Can Get Catbus Toys! 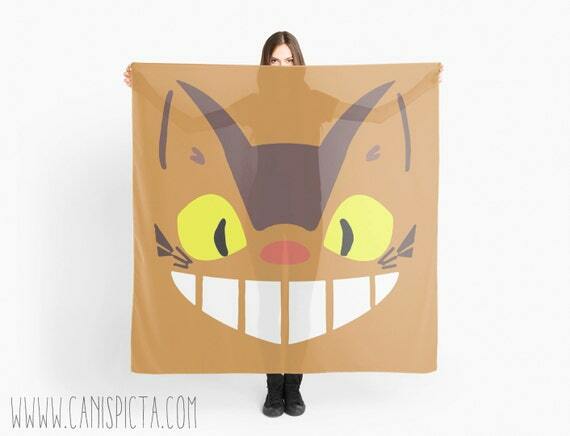 The movie My Neighbor Totoro introduces a quite a few magical mystical creatures…. 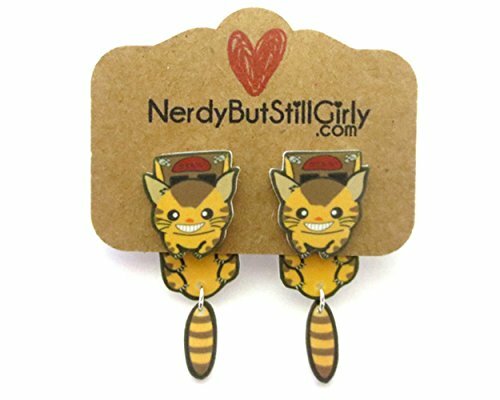 Totoro, Soot Sprites and even a Catbus… Totoro is the spirit of the Forest, the Soot Sprites are soot sprites…But, What is the Catbus? 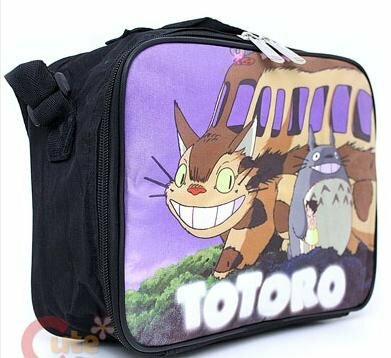 This strange and wonderful vehicle is summoned by Totoro to take Satsuki and Mei to see their mother… Is it a cat? Is it a bus? Is it alive? Where did it come from, and what is the story behind the Catbus? 1 What Is the Catbus? 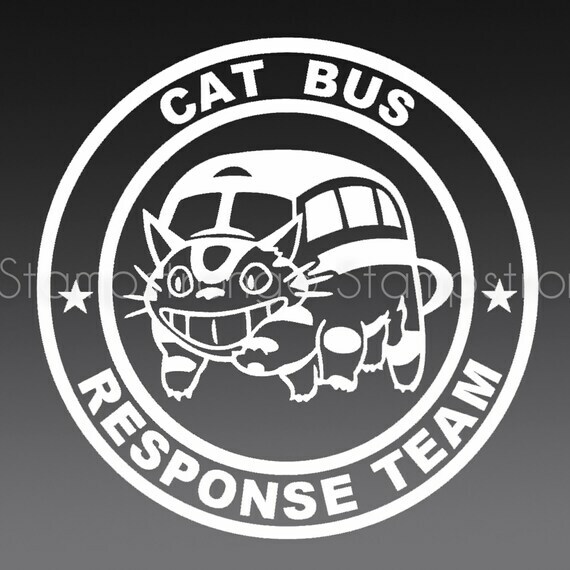 2 Is Catbus the Neko Bus To Heaven (or Hell)? 4 Would you like to have a Catbus in Your World? 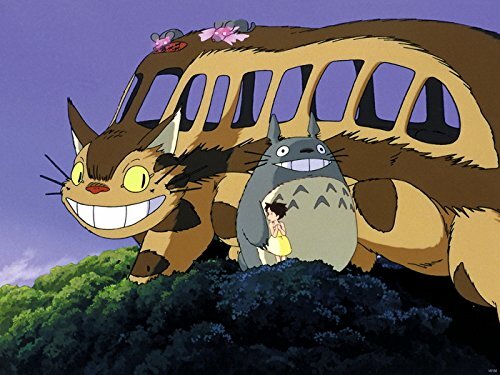 In My Neighbor Totoro, the Catbus is a bus-sized, cat with windows and seats, just like a regular bus. The side opens to allow passengers in. 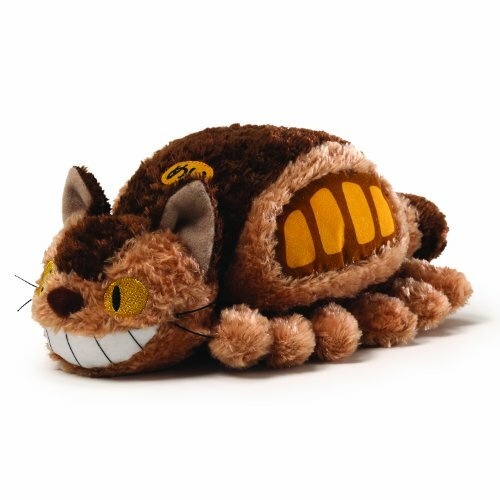 He’s furry soft… and has a Cheshire Cat grin. 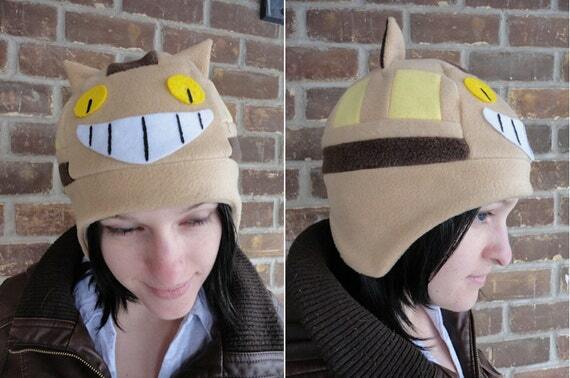 (About that grin… many theorize that the grin proves a connection between Alice in Wonderland and My Neighbor Totoro. 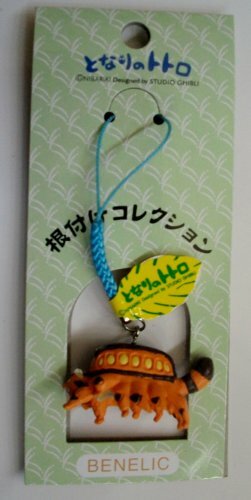 Another Alice connection comes when Mei follows the Chibli down the hole to find Totoro). 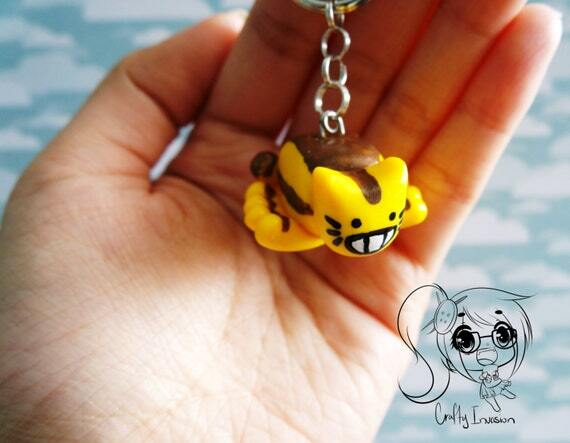 Because Catbus has 12 legs, he’s able to leap and jump, and almost fly as he moves across the earth. His eyes shine like headlight, illuminating the path before him. On top of the bus (both front and back) are mice lights…. And right in the center, at the front of the bus is a lit sign displaying its destination. That sign is the basis for a lot of speculation and dark fan theories about Catbus and My Neighbor Totoro. 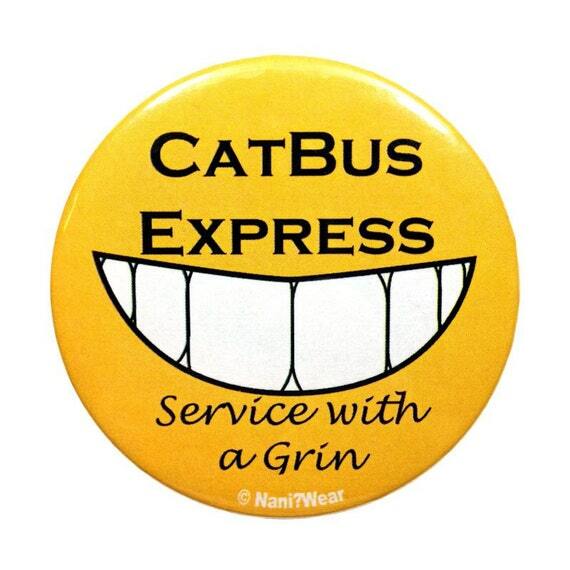 Is Catbus the Neko Bus To Heaven (or Hell)? 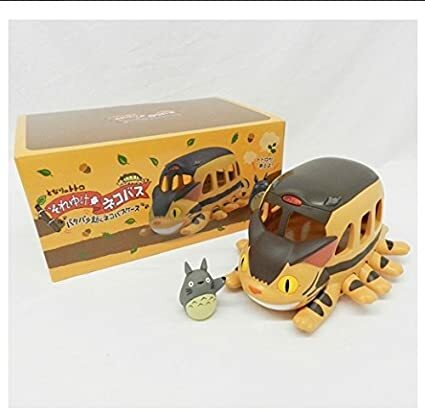 Dark fan theories have emerged surrounding the Catbus... in fact, the theories were so prevalent, that Studio Ghibli had to publish denials. Decide for yourself…. 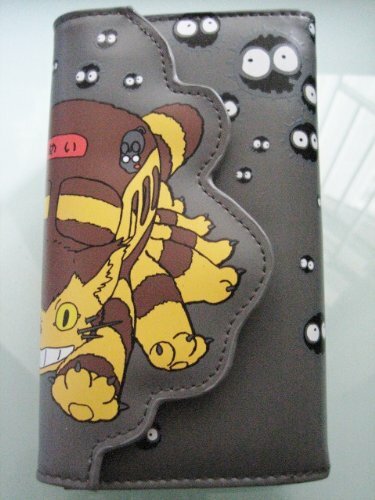 Why would Catbus be taking the Mei and Satsuki to heaven? Speculation is that when Mei goes missing, she is actually dead… and Satsuki, in her grief, kills herself. Catbus collects them up and takes them to heaven. The last scene at the hospital where the mother senses their presence it meant to back this up. Now… personally… I think this is just a huge reach. People search for connections that don’t exist to resolve questions that the story doesn’t answer. Plus, he’s kind of cute. 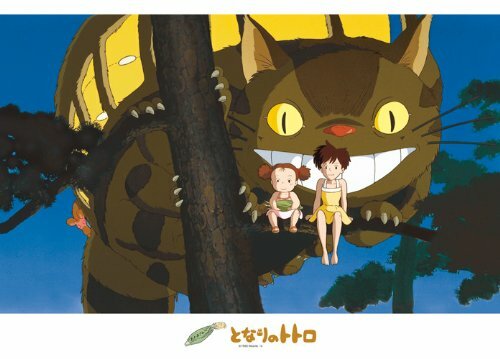 If you visit the Studio Ghibli Museum, you can even PLAY on and in a GIANT Catbus!!! 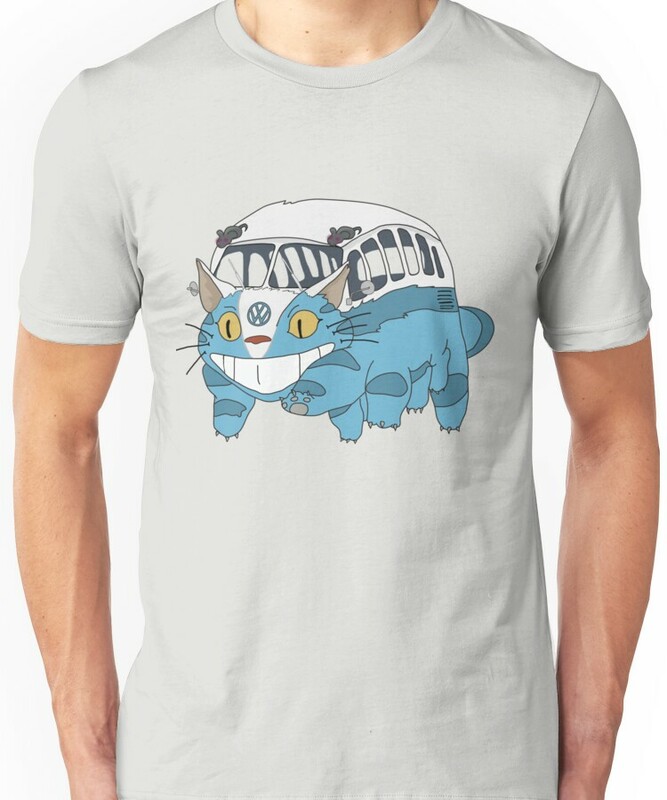 Would you like to have a Catbus in Your World? 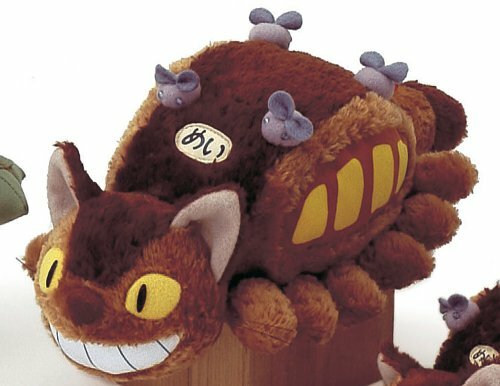 Have fun taking Totoro on imaginary adventures with this cute Catbus Play set! Add some other figurines of Mei and the Chibli to make it even more fun! 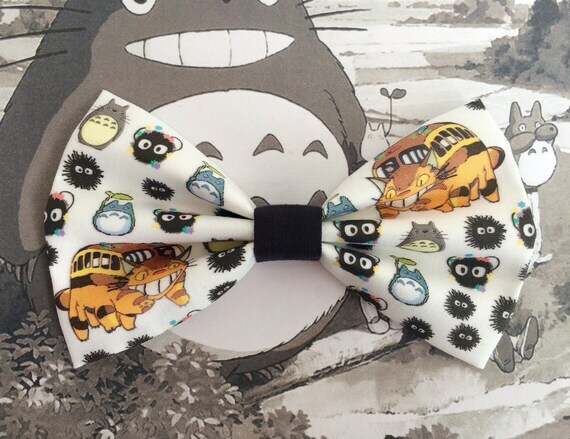 Hair bows, pins, scarves and lanyards….